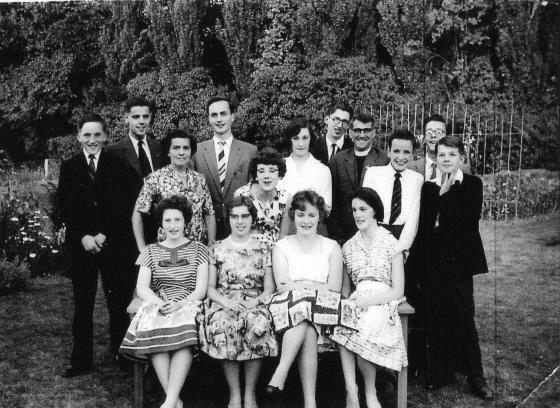 Brian Black, Clifford Teagle,Doug Bunney, Jack Cook, Ray Chamberlain, Bernard Ashwell,June Ploughright, June Coltman,Joyce Boyer, Mary Becher, Betty Hull, Molly Brewin, Freda Underwood. 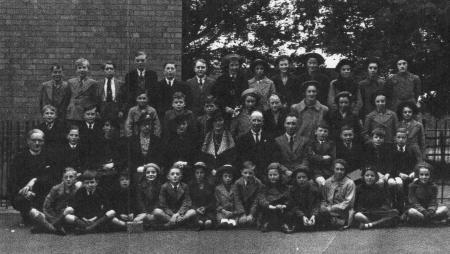 Bob Lovett, David Barnes, Ted North, Peter Palmer, Alan Toone, Lorna Exton, Marjorie Hardy, Audrey ?,Les Olphin, Betty Smith, Mavis Burton. Rev. 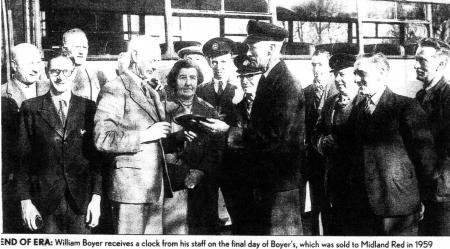 Becker, Roy Mitchell, Madge Foster, Woolston ?, Mrs Packe, Tom Hickling, Laurie Neal, Max Weaver, Stan Fletcher, Terry Weaver, Norman Coltman. Philip Black, Graydon Iliffe, ? 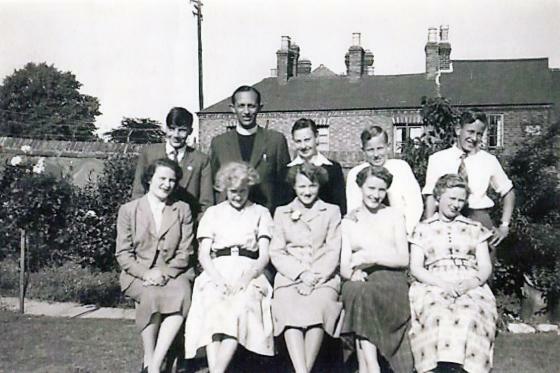 Palmer, ?, Peter Lovett, ?, Sally Jarman, Tony Hancock, Myra Botterill, Irene Perkins, Rose Squires, Marion Siddons, Pearl Pentelow. 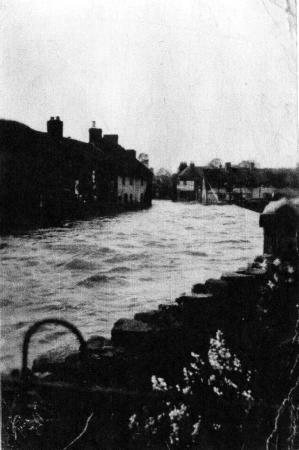 Main Street (now Town Green Street) flood in 1932. The Woodmans Stroke c 1900. This was also the local Undertakers with coffins being made 'round the back'. The Chapel of Rest was the room on the right hand side of the picture. 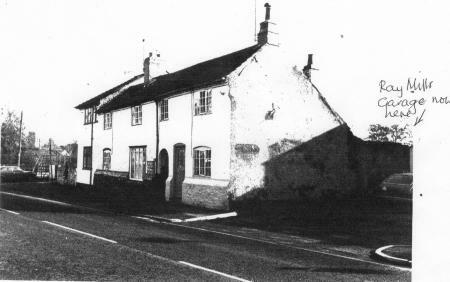 This house was demolished c1939 but it stood on the Mountsorrel Lane just beyond and opposite Badgers Bank. 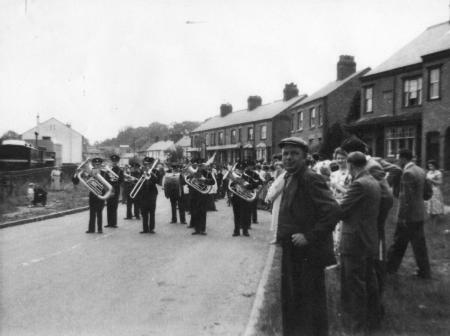 It was built facing down the Mountsorrel Lane looking towards Cross Green.. 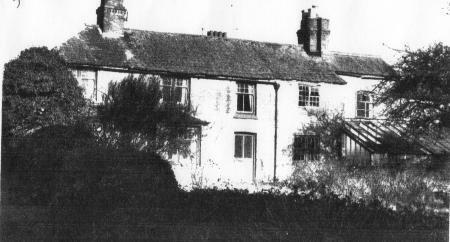 It was once the home of the Pentelow family. 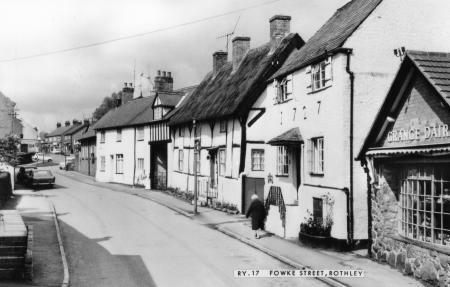 In 1938 Margery Warrington (Margery Bowley) was born in the house on the left. Tommy Harris (Old Tommy) lived in the right hand side.The site was used in 2009 to grow sweetcorn and in 2010 it has been fenced off from the road. 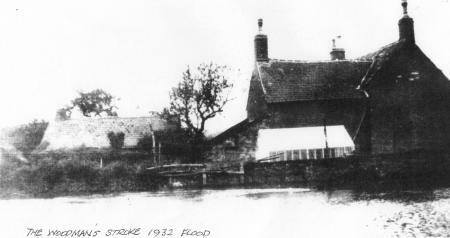 The same house as above with part of it boarded up prior to demolition. 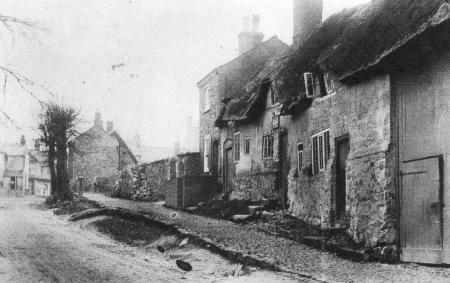 The above photo dates to around 1915 and shows one of the shops in Town Green Street that used to serve the village. Many will remember Miss Dormer's Stores, now called Dormer House, and Toone's the grocers. 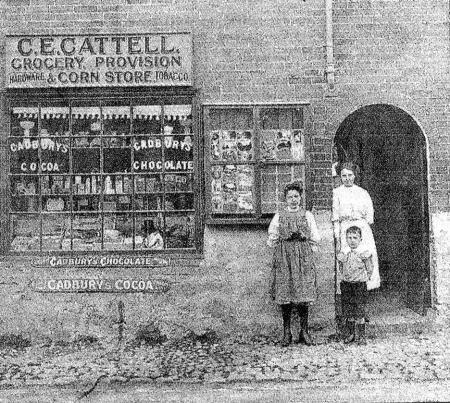 Cattells shop was entered through a door on the left just inside the entry. The entry remains the same today as can be seen from the next photograph. This picture shows Gertie Cattell at the back with Maggie and Bertie Cattell. The Hames Factory stood where Prospecs are in 2010 as part of Victoria Mills in Fowke Street. 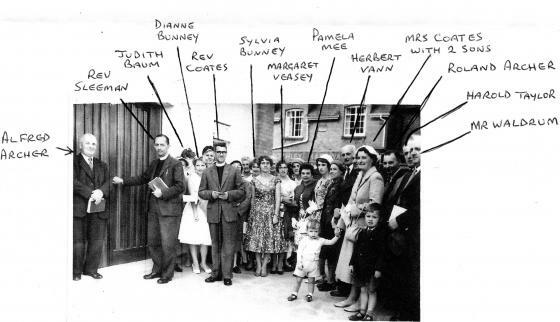 The photograph would have been taken around 1958/9. 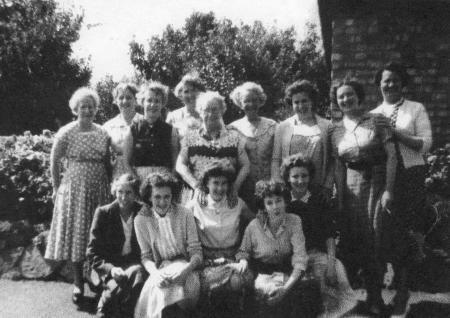 l to r. Almena Porter, Eva Chamberlain, Trudy Hickling, Hilda Underwood, Molly Goward, Helen Brown, Ann Emms, Gladys West, Corrie Lem. l to r. ?, Jean Wells, Janet Willars, Judith Baum, Maureen Baum. Janet Willars married name was Janet Jasper and she very sadly died as a result of the 2017 gas explosion in Allington Drive, Birstall. Their house, the other part of the semi, was extensively damaged and Janet died a few days later. She was very ill at the time of the explosion. With thank to Maureen Baum (Lockett) and Jean Fox for providing the names. 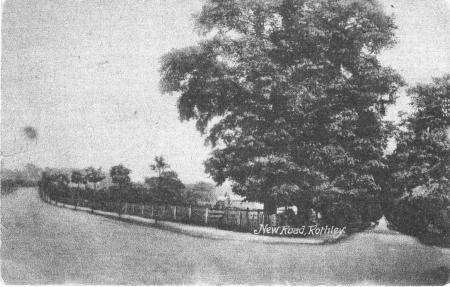 New Road in Rothley is printed on this post card so where is New Road? 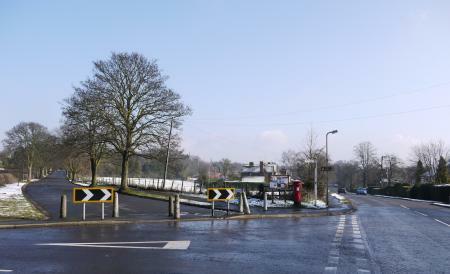 The road on the right is Westfield Lane and the 'New Road' to the left is The Ridgeway. This would be in the early 1900's. Westfield Farm can be seen in the centre and the newly planted trees along The Ridgeway are mostly still there in 2010. 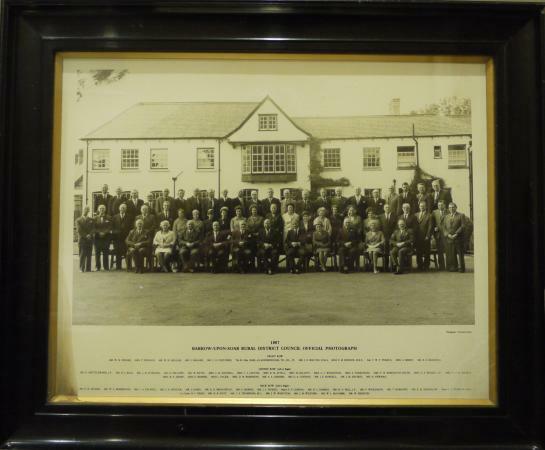 This photograph is dated 1954 and shows cricketers from Leicestershire County Cricket Club and the Old North Leicestershire Cricket League. 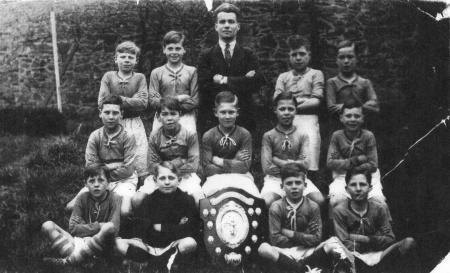 Some Rothley players are in the picture including Peter Salusbury. 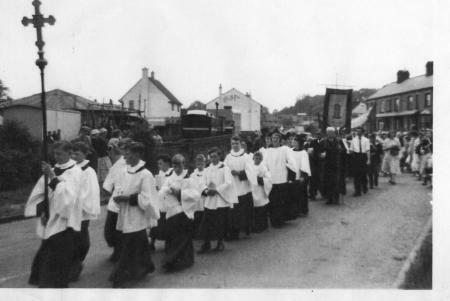 The Patronal Festival Procession in Town Green Street. Date not yet known. 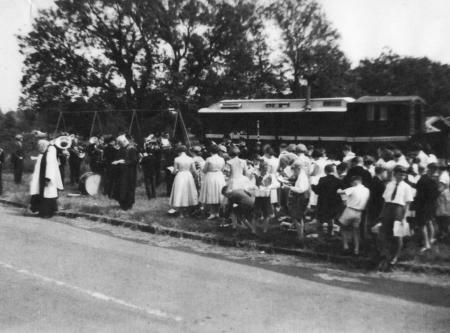 The Procession makes its way to the Recreation Ground on Town Green Street. The Fair on the Recreation Ground adds to the Festival atmosphere. The Rev. Hunting is on the left. 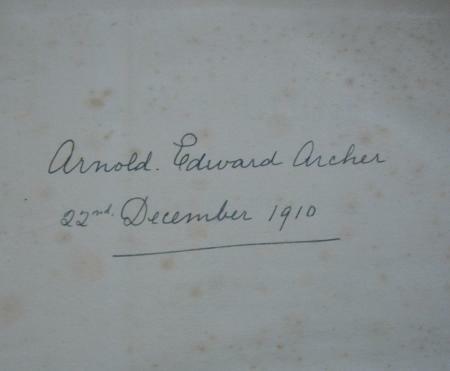 The Bible shown above was presented to Arnold Edward Archer on the 22nd December 1910 by the Trustees of the Bartholomew Hickling's Charity. 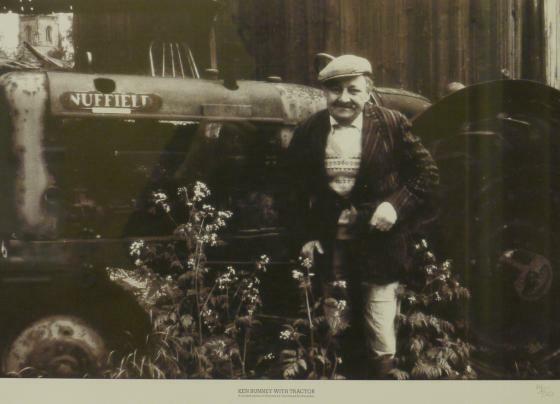 Ken Bunney was a well-known figure in Rothley, always to be found in his field by Rothley Brook tending his hens amongst the array of old farm tractors and machinery. His name will always be remembered in Rothley as his field was bought by the Hames Cottage Charity to preserve the area for all time as a green space in Rothley. Needless to say, it has the name of Bunney's Field. 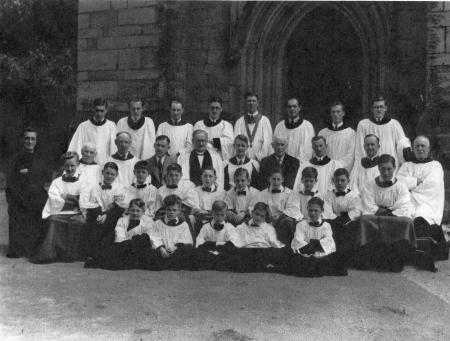 Mr K. Shuttlewood, J.P., Mr H. J. Rigg, Mr C. B. Sturgess, Mr D. Fellows, Mr W. Bates, Mrs C. M. Mansell, Mrs C. I. Colton, Mrs R. M. Astill, Mrs M. Elliott, Mrs A. C. Wilkinson, Mrs A Parkinson, Mrs P. M. Babington Smith, Mrs D. E. Wessel, J.P., Mrs G. A. B. Thomas, Mrs M. E. Sharp, Miss G. Barber, Miss L. Facer, Mrs D. M. Robinson, Mr A. A. Garner, Mr O. A. Condon, Mr J. E. Burdell, Mr J. M. Squires, Mr H. Newman. Mr D. B. Allard, Mr W.G. 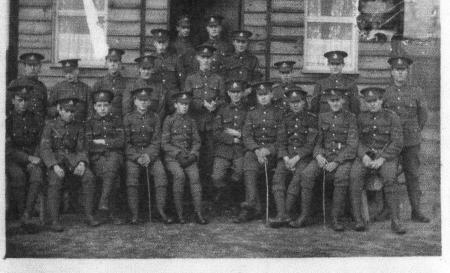 Bembridge, Mr L. A Palfrey, Mr J. E. Spencer, Mr J. James, Mr R. D. Broughton, Mr S. Harris, Mr J. L. Hyman, Major F. F. Capron, Mr H. S. Gamble, Mr H. O. Pell, J.P., Mr F.Wilkinson, Mr T. Burrows, Mr E. M. Shardlow, Major C. J. Tatham, MBE, Lt. Cmdr. R. C. Dean, Mr H. B. Nutt, Mr C. F. Thompson, M.C., Mr J. W. Wootton, Mr J. M. Wilford, Mr W. L. McCombe, Mr W. Preston. 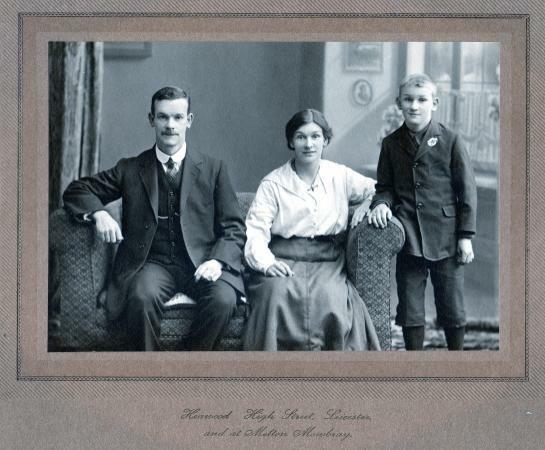 Frederick Stanley Daykin with his parents at Temple Cottages, Town Green Street, Rothley. He was known as Stan the Waterworks Man, working for the Leicester Waterworks Company which is now Severn Trent (2013). 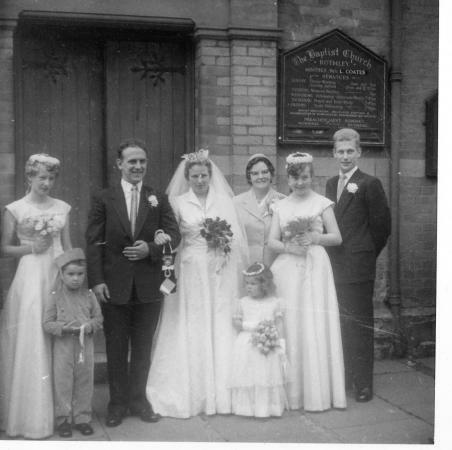 Stan's father died when he was 11 years old and he later moved with his mother to Anthony Street, Rothley. Stan died in 1996 aged 89 years. 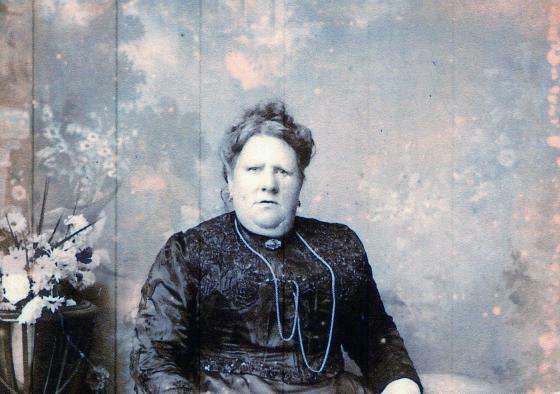 Elizabeth Nurse (nee Toone) 1851-1916 was born in Rothley and spent all her life in the village. Great Grandmother of Neville Baum who kindly gave the photograph. 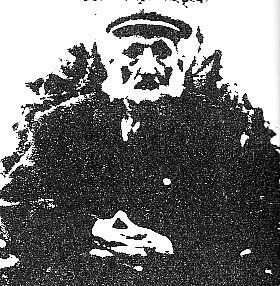 Thomas Nurse 1851-1933, husband of Elizabeth Nurse shown above, was born and lived all his life in Rothley. Thanks again to Neville Baum. 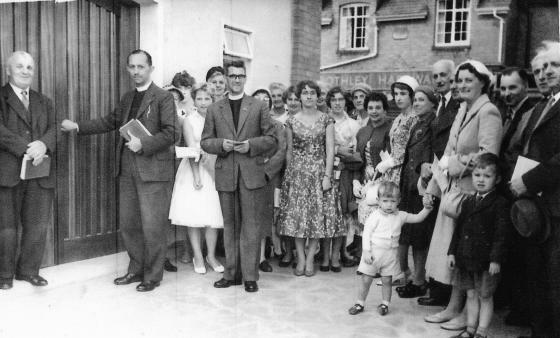 The wedding of Betty Welch and Tony Ball outside the old entrance to Rothley Baptist Church in Woodgate. The Rev. L. Coates was the Minister. With thanks to Betty and Tony Ball for permission to publish this photograph. This is a home-developed photograph from an original. 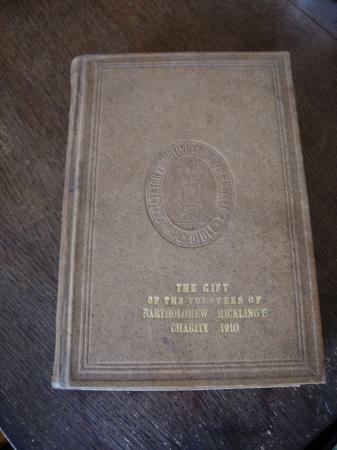 It shows Joseph Waldram 27:12:1871-27:07:1960 and Florence Waldram (nee Freer) 13:03:1874-18:01:1960. 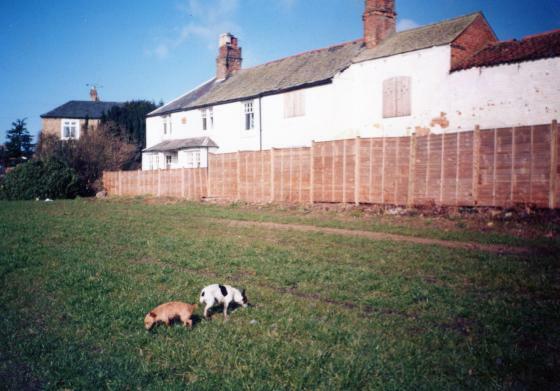 Joseph and Florence lived in Edna Cottages, Mountsorrel Lane. 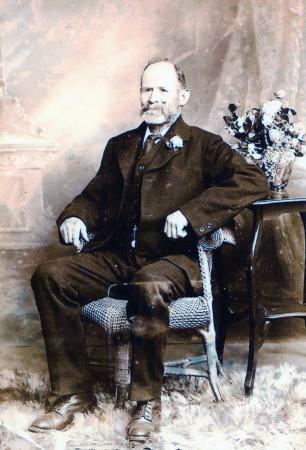 Florence's grandfather (whom she returned to Rothley to care for) was Benjamin Armstrong 1850-1904 whose gravestone can be seen in Rothley Churchyard. 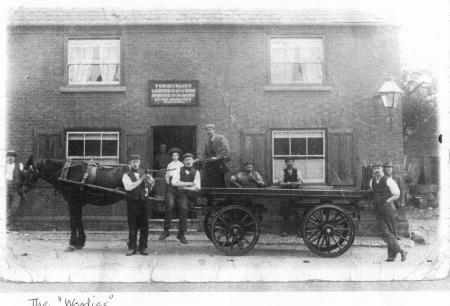 He was a 'stocking framer' employing 4-5 girls in Rothley. Stockings came from Leicester on a cart and in Rothley they were added to them the 'fancy tops'! His business was down Town Green somewhere. He was bankrupted by the Industrial Revolution when new machines appeared in factories. Linda (my grandmother) 1897-1994, Will born in 1899 and Cyril on the left born in 1901. 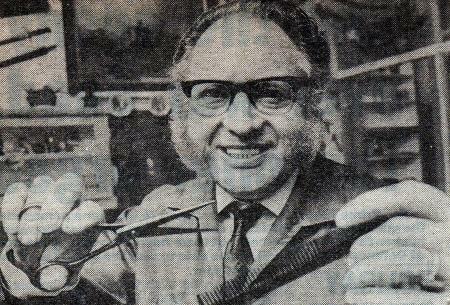 Benjamin Armstrong, the last framework knitter in Rothley. 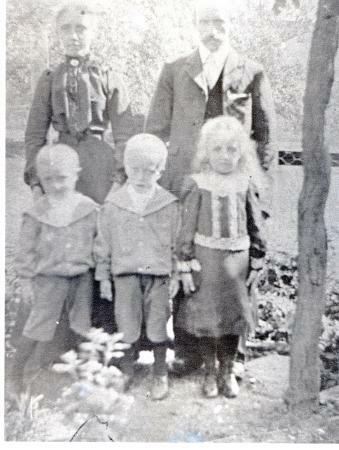 He worked from his home in Bacon Hole with his wife Ann and two sons Robert and William.